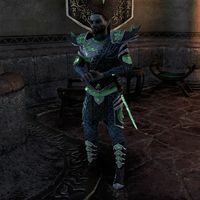 Armiger Tharys is a Dunmer soldier who can be found in Saint Delyn Waistworks in Vivec City. He's reading a book near the south entrance. He cannot be talked to. This page was last modified on 19 June 2018, at 01:30.